Born in Formia, he has always worked in the family restaurant, founded by his grandfather, then run by his father and now the property of Stephen and his cousin. He came to Rome with his wife Elena in September 2006. Chinappi opened the restaurant in Piazza Barberini, and in January 2010 moved to its current location in via Valenziani. 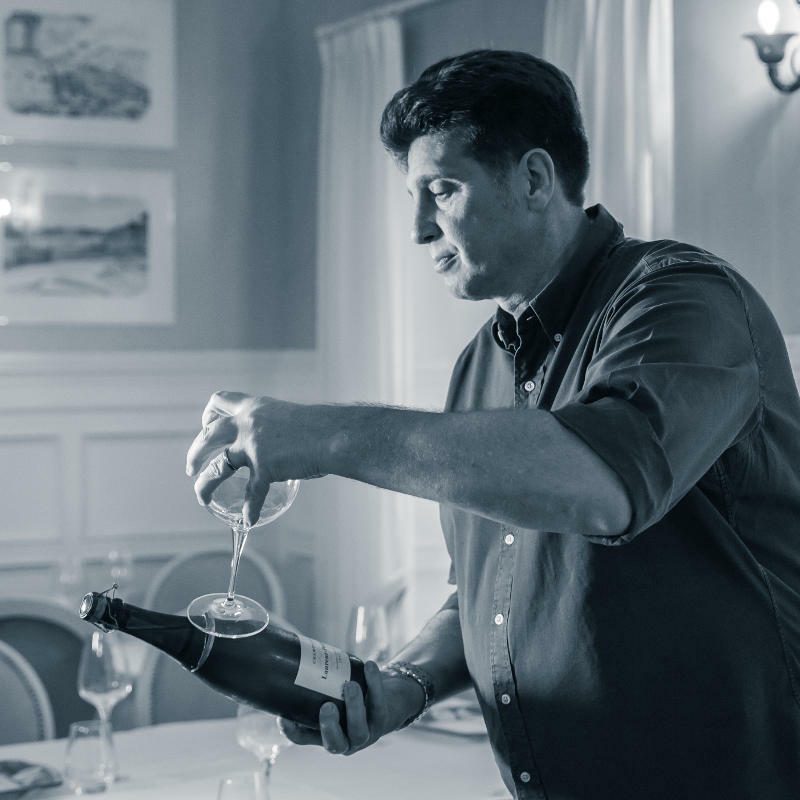 He is a big fan of champagne and good food, as well as of his work: this can truly be understood when you step foot inside his restaurant; Stefano has the ability to accommodate and pamper his customers, making them feel at home. He continues to be present in the Formia restaurant, especially on a Saturday morning and during the summer. She arrived in Italy 25 years ago and met Stefano as a customer of his Formia restaurant. From there begins their journey together: they marry and have two children, followed by the decision to pursue their Rome adventure where together they open the restaurant side by side. Born in 1992, Andrea is the ‘idealistic’ son with a degree in comparative literature. He is currently a Philosophy student at the Roma Tre University, having already obtained a three-year degree from Sorbonne. He has created an independent magazine, The Bestiary – Proudhon publishing house. He helps in both the Rome and Formia restaurants during the summer. He inherited his father’s keen interest in the world of wine, and you could say he’s a big fan of agricultural work. 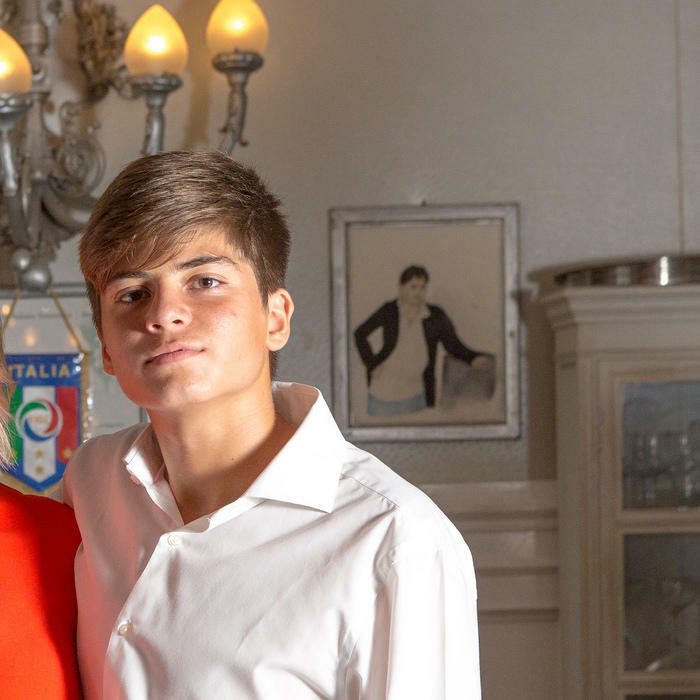 Born in 2000, Francesco is the ‘practical’ son and is currently in his third year of high school. He plays an important role in helping out at the Rome restaurant alongside his brother, both of whom are very talented and dedicated to their work. He loves the work room and pastries. During the summer he, along with the rest of his family, can be found working in the Formia restaurant.